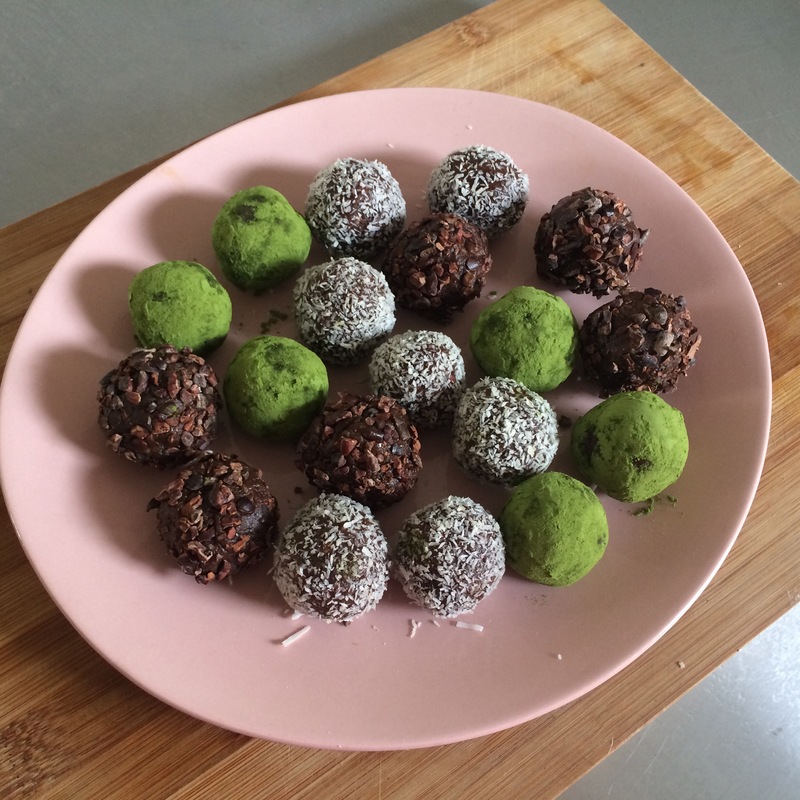 So as part of my strategy this month to avoid refined sugars, today I made these raw vegan bliss balls, rolled in (variously) dessicated coconut (I found the shredded variety didn’t give a nice even coat), green tea powder, and slightly crushed up cacoa nibs. Delicious! These bliss balls have a beautifully cakey texture, and they’re so satisfying for that pesky sweet tooth, i’ve found that when I get the chocolate (or cake) urge, just one of these little wonders completely hits the spot.